My story began the day I was born. I was born completely blind with congenital Cataracts in both eyes. While only being a few months old, I had a lensectomy to remove the cataracts. Because I was an infant and this was 1978, they weren’t sure which procedure would be best. They decided to two different operations, one in each eye, to lessen my chances of a detached retina. Unfortunately, as a result of the operation, I was diagnosed with glaucoma in both eyes at the age of 12 and suffered a detached retina in my right eye at the age of 20. This all was a result of the cataracts surgery. I was prescribed many medications over the years. It was a real challenge to keep my eye pressure levels low. I had gone to the emergency room several times for escalating pressure that gave me terrible migraines. I was really afraid to lose my vision. When I was 18, I tried cannabis. One of my friends convinced me to take a bong hit. I knew at that moment something was different about my vision but I was still very new to cannabis. I smoked occasionally and noticed some ocular relief. It wasn’t until I tried making cannabis brownies, that I really noticed a change in my vision! I did what most everyone did back then. I grinded up some cannabis flowers and tossed them into my brownie recipe. Unfortunately I ate way too much. I got vertigo as a side effect for a few days, however my vision was fantastic. I no longer saw halos from lights or had a migraine! Since then I have perfected my methods and dosage calculations. I have gotten my glaucoma pressure under control and have made my opthamologists marvel at my personal success in treating my own condition with minimal help from pharmaceutical medication. I was raised practically in the kitchen. I am a self-taught chef with an interest in world cuisine, which stems from my extensive global travelling experiences to Asia, Europe and beyond. I have applied my knowledge of food science to the realm of cannabis medicine. I have helped countless patients on my journey, teaching them to heal themselves through my recipes. I have held several positions in the cannabis industry such as an intake receptionist for a Cannabis authorization clinic called CannaCare and The Edibles Baker for New Millennium, a dispensary that was located in Seattle, WA but has since closed due to our ever-changing state laws. 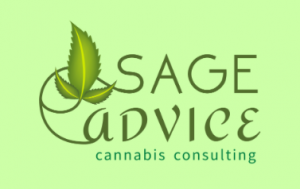 420 Sage Advice is a cannabis therapy consultation service to help patients create their own medicine at home at a fraction of the cost of pre-prepared goods one would find at dispensaries. I have done extensive research on holistic methods, using essential oils, and other beneficial herbs and carrier oils, to create synergistic healing products. These additions focus on complimenting and utilizing cannabis’ beneficial properties, such as terpenes and a variety of different cannabinoids, to achieve the entourage effect. It is so important for patients to know what exactly is in their medicine, that it meets their dietary requirements, and that it is delivered to the body in the most effective way with correct dosage. 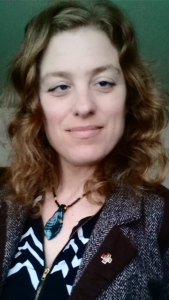 I do not want patients to have to struggle like I did when I started on this Journey, and I can help walk you through it and feel comfortable with creating your own effective holistic therapies at home. You can contact me through the links above or through my Facebook page.